By Sean McDaniel: Sometimes a fighter can win a fight based on size alone. This may be the case for the July 23rd bout between 6’9″ unbeaten Tyson Fury (14-0, 10 KO’s) and 6’1″ British and Commonwealth heavyweight champion Dereck Chisora (14-0, 9 KO’s) at the Wembley Arena in Wembley, London, England. If both fighters were around the same size, Chisora wins 10 out of 10 times. However, with Fury sporting an eight inch height advantage of the much shorter Chisora, we could see Fury basically crushing Chisora with his massive size and ending up battering the smaller guy. Chisora has been looking great at beating fighters that are close to the same size as him. However, in this fight against Fury, Chisora is going to be giving away a lot of height and reach. That might be too much for Chisora to overcome in this bout. Fury’s new trainer Emanuel Steward has been working hard at trying to teach Fury how to fight tall and it’s going to be interesting to see if Fury will be able to put in practice all the things that Steward has been trying to teach him. Fury might not be able to beat Chisora if he comes in close and tries to batter Chisora on the inside the way that Fury has done in the past against lesser heavyweights. 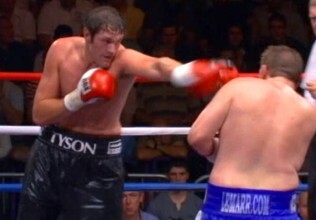 Fury can beat lesser quality fighters at close range but probably not Chisora. Unlike IBF/WBO heavyweight champion Wladimir Klitschko, Fury does have an uppercut in his arsenal of punches, but he doesn’t throw it with enough power for it to be a real weapon that can stop or slow down shorter fighters like Chisora. Fury needs more time to develop that punch before it’s going to have enough stopping power to beat the better heavyweights in the division. Right now, Fury can do little if Chisora gets in close on him other than slap with his punches. This is why Fury has to keep the action on the outside as much as possible for him to have a chance at winning this fight. Fury will be a huge problem for Chisora if he can keep the action at a distance for at least eight of the twelve rounds. I don’t see Fury knocking Chisora out, so the best chance of winning is by decision. It will come down to Fury’s size as being the deciding factor in him getting the win, but he can’t give it away by letting Chisora come inside on him over and over again.